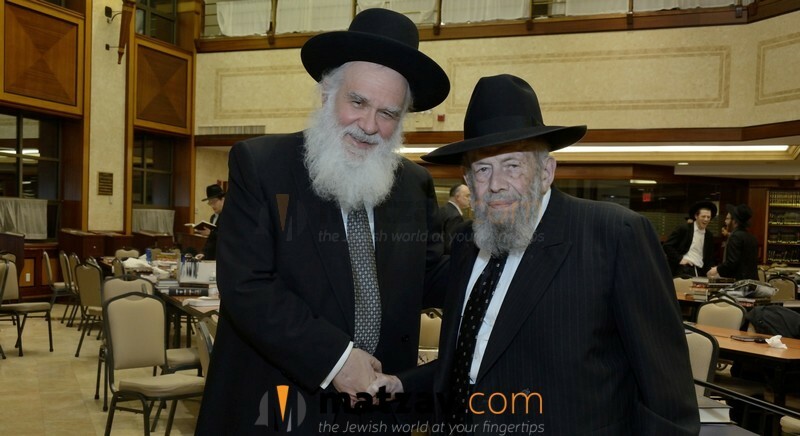 It is with great sadness that Matzav.com reports the passing of Rav Eliahu Pesach Rominek, rosh yeshiva of Yeshiva Ohavei Torah in Far Rockaway. 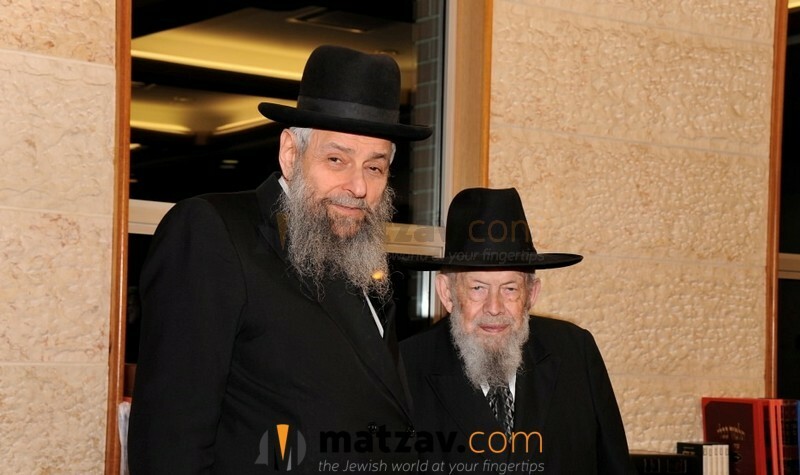 Rav Rominek was a talmid of Rav Yitzchok Hutner zt”l at Yeshivas Rabbeinu Chaim Berlin, and Rav Aharon Kotler zt”l at Bais Medrash Govoah in Lakewood. 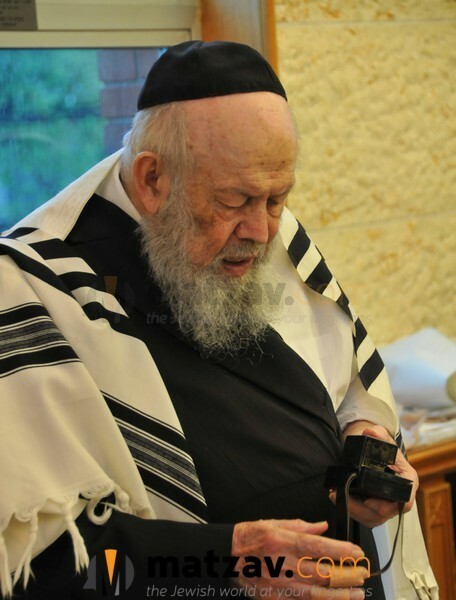 Rav Rominek’s life in harbotzas haTorah began while still a young man, in the year 1949, when he became R”M at Mesivta Rabbeinu Chaim Berlin and the rov of the Young Israel of Laurelton, Queens. These positions were secured after spending one year at Bais Medrash Govoah in Lakewood with Rav Aharon Kotler. That same year, 1949, he married his wife, Hadassah Wohlgelernter, daughter of Rav and Mrs. Shalom Pinchus Wohlgelernter zt”l of Seattle. Rav Wohlgelernter’s mesirus nefesh in Hatzolah work after the Holocaust caused him to be renowned all over the world. 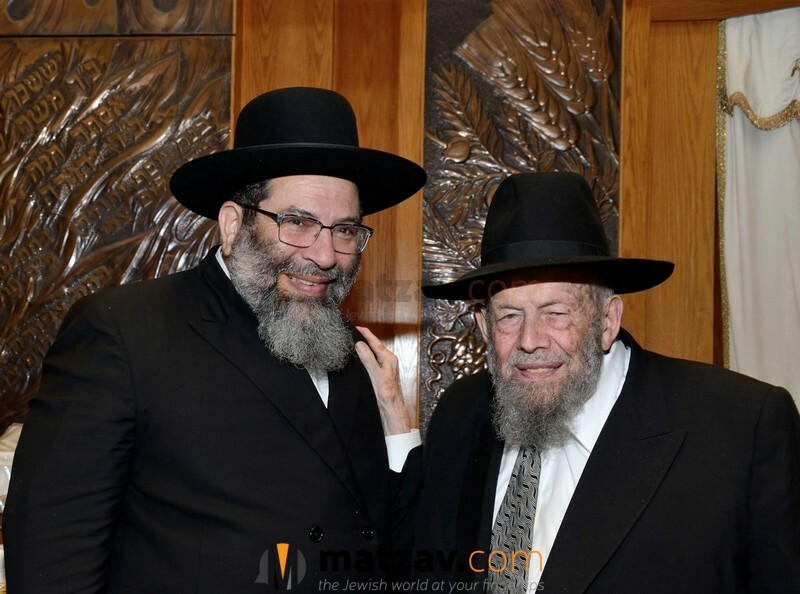 Rav Rominek received Yodin Yodin semichah from Rav Yehuda Leib Forer zt”l of Holyoke, Massachusetts, who also had a great impact on Rav Rominek’s life. Rav Rominek remained R”M at Mesivta Rabbeinu Chaim Berlin until the yeshiva left Far Rockaway, circa 1969. The yeshiva had temporarily made a move to the Rockaway Peninsula community, but subsequently returned to its Brooklyn roots. During those years, until 1975, Rav Rominek led the congregation at the Young Israel of Laurelton, transforming lives and bringing Yiddishkeit to many formerly unaffiliated families. Far Rockaway became blessed when the Rominek mishpacha, consisting of three daughters and one son, decided to move to Far Rockaway in 1975. At the time, their son was attending Bais Medrash Govoah and their daughters attended Torah Academy for Girls. In 1978, Rav Rominek founded Yeshiva Ohavei Torah. The yeshiva was opened for primarily retired people, and it remains until today a unique, tuition-free yeshiva that offers daily shiurim for adults. For many years, the yeshiva held its shiurim at Congregation Kneseth Israel, the White Shul. Later, Congregation Shaaray Tefila became the site of its shiurim. Yeshiva Ohavei Torah is known for its kinnusim held before every Yom Tov. One of the more compelling aspects of Rav Rominek’s impressive history was his courage to tackle difficult problems, facing them head on and not relenting until the emes is fully revealed, even if it meant loss of popularity and support. Such was the case a number of years ago, when an adult education program on Long Island included spiritual leaders from the Conservative and Reform movements. Rav Rominek’s vehement opposition to such a misrepresentation and distortion of Torah ideology eventually ended the program. Rav Rominek cites Rav Aharon Kotler as his role model for that struggle. 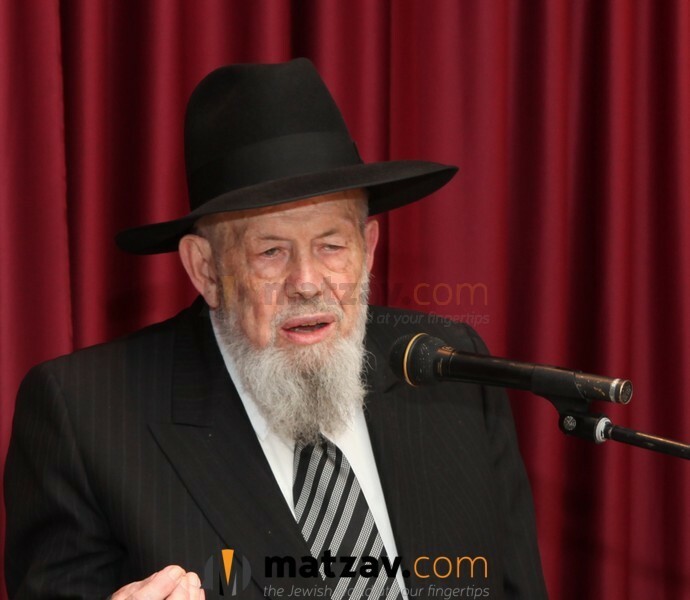 He stated that Rav Aharon, in the 1950s, was willing to close down the yeshiva in Lakewood, if necessary, rather than bow to the demand that he sanction Orthodox rabbis to join Conservative and Reform leaders on rabbinic boards. “My inspiration came from Rav Aharon,” Rav Rominek once said. 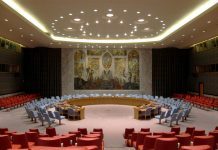 Another difficult situation arose in the late 1990s, involving an eleven-year-old girl in Montreal, whose father claimed to have halachically married her to an unnamed husband. His intention was to use the marriage claim as leverage against his wife, who was an agunah. This case became a cause célèbre throughout the world. Rav Rominek wrote the definitive teshuvah that allowed the girl to marry. He was infuriated by the great pain and embarrassment to the girl and her family, the chillul Hashem and dishonor to Torah taking place, and the precedent being set for others to follow this horrible act. Rav Rominek went to the gedolim of Eretz Yisroel, who concurred that the teshuvah he had written was correct. He communicated with Rav Shmuel Wosner and Rav Shlomo Zalman Auerbach, who support gave enormous credibility to Rav Rominek’s teshuvah. The woman was allowed to marry, and Rav Rominek was the mesader kiddushin in Montreal. 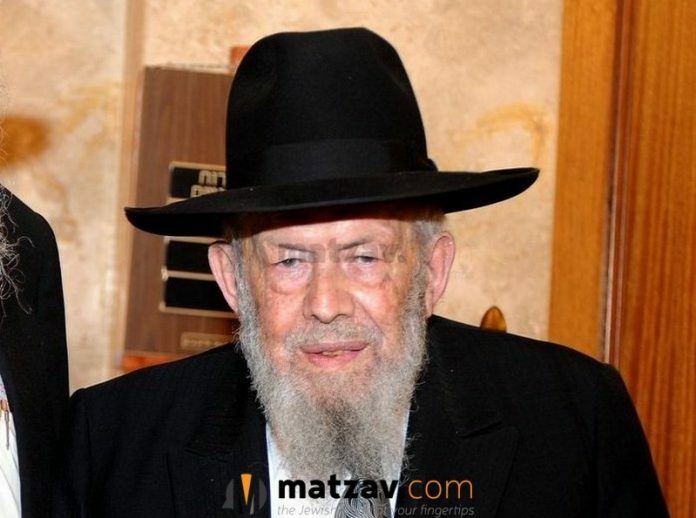 Rav Rominek leaves behind his wife, Rebbetzin Hadassah Rominek, who was a devoted aishes chayil in helping Rav Rominek in all his spiritual activities, and their family. The levayah will be held tomorrow, at 9:30 a.m., at Yeshiva of Far Rockaway, located at 802 Hicksville Road in Far Rockaway, NY, after which the aron will be flown to Eretz Yisroel for kevurah there. why arent his shiurim on torah any time? Perhaps they were never submitted? Perhaps he didn’t want them online (perhaps now that would change)? All those years he davened Yomim Noraim at Sh’or Yoshuv. We were zoche to his presence and his Torah. Boruch Dayan HoEmes, we have lost. We are lost. Who are the 3 aidem’s? 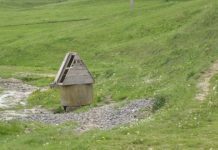 Where and when is the levaya in Eretz Yisrael? 2PM Wednesday at the entrance of הר מנוחות.